Since it was created 1974 by Garrison Keillor ‘A Prairie Home Companion‘ has been pivotal in championing roots artists. Including the new host, Chris Thile’s first breakout newgrass band Nickle Creek, where Thile first [layed in his teens. Since taking the helm of ‘A Prairie Home Companion’ Chris Thile last year the bands booked have sometimes skewed more into the indie rock side of things by booking artists like The Shins and Jack White. Ryan Adams is an artist that knows a thing or two about both the roots and indie rock side of music. Adams was booked on the programs Pasadena Civic Auditorium in Pasadena, California stop last weekend. 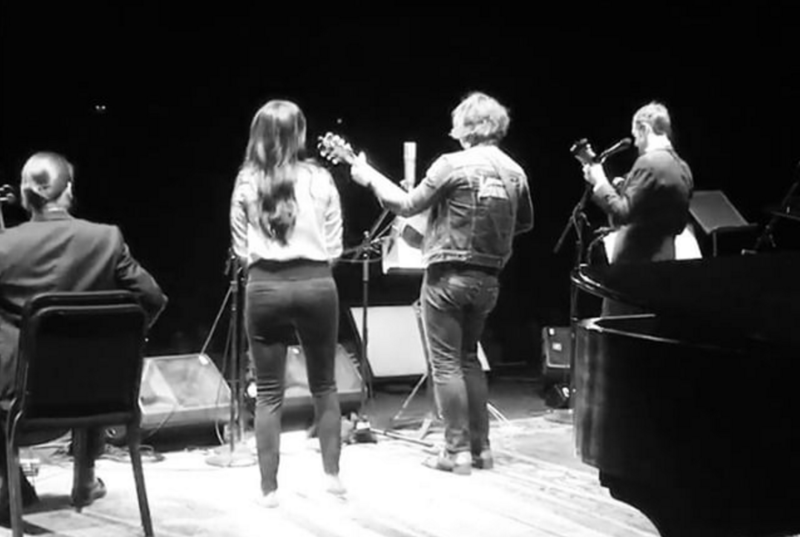 The event was made even more special when Kacey Musgraves joined Adams to sing “I Love You But I Don’t Know What To Say,” from Adam’s 2011 release ‘Ashes & Fire.’ The pair was joined by Thile providing his exceptional mandolin work.